You'll be £11.99 closer to your next £10.00 credit when you purchase Tracing Your Female Ancestors. What's this? Everyone has a mother and a line of female ancestors and often their paths through life are hard to trace. 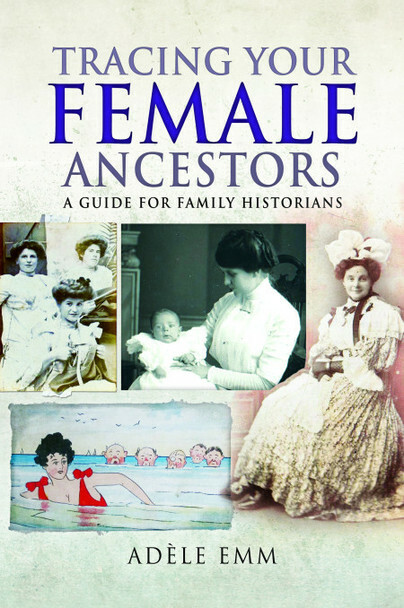 That is why this detailed, accessible handbook is of such value, for it explores the lives of female ancestors from the end of the Napoleonic Wars in 1815 to the beginning of the First World War. In 1815 a woman was the chattel of her husband; by 1914, when the menfolk were embarking on one of the most disastrous wars ever known, the women at home were taking on jobs and responsibilities never before imagined. Adèle Emm’s work is the ideal introduction to the role of women during this period of dramatic social change. Chapters cover the quintessential experiences of birth, marriage and death, a woman’s working and daily life both middle and working class, through to crime and punishment, the acquisition of an education and the fight for equality. Each chapter gives advice on where further resources, archives, wills, newspapers and websites can be found, with plentiful common sense advice on how to use them.